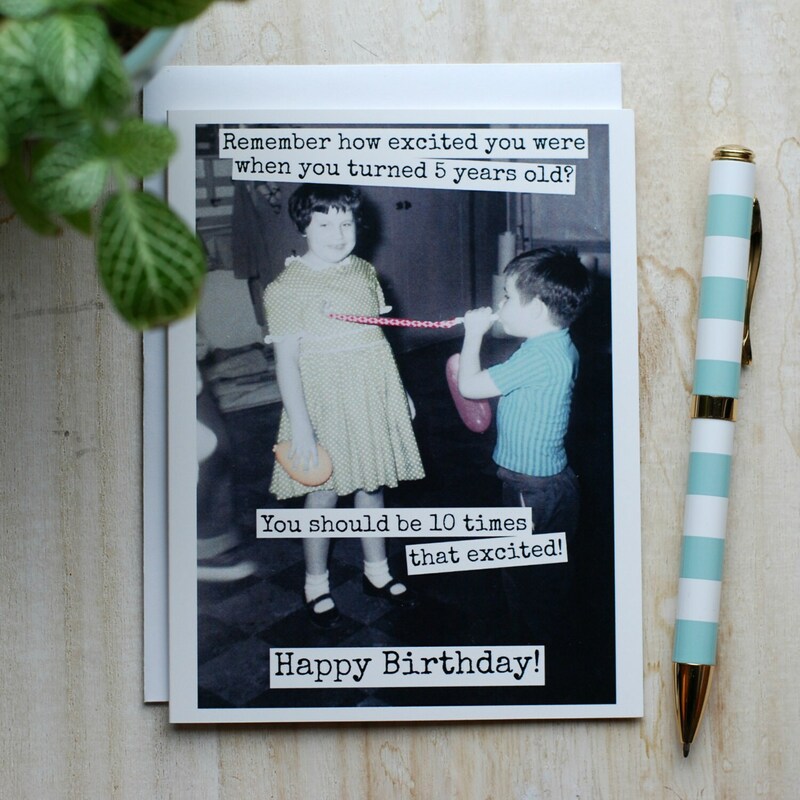 This card features a couple of vintage birthday kids and reads: "Remember how excited you were when you turned 5 years old? 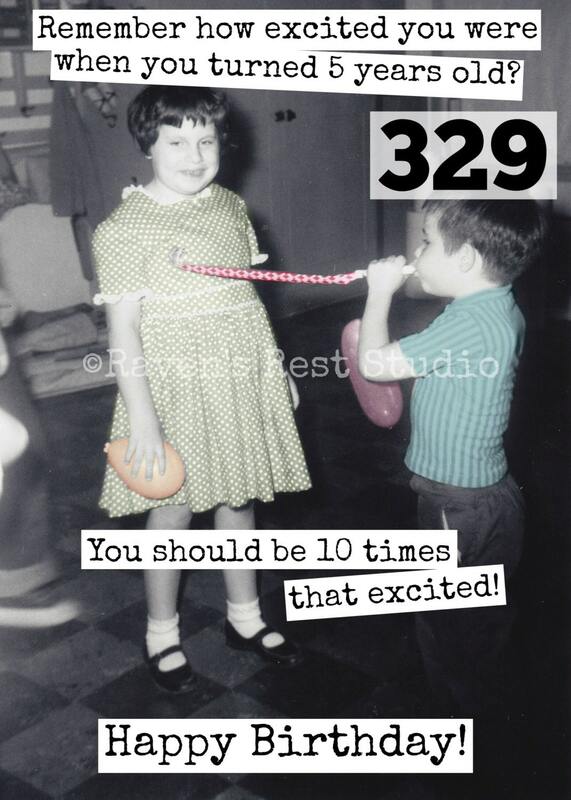 You should be 10 times that excited! Happy Birthday! ".